Are we seeing changes in the teaching ministry of the pope? In the decades since the Second Vatican Council, we have witnessed a fascinating set of developments in the teaching ministry of the bishop of Rome, what is traditionally referred to as the ordinary papal magisterium. Papal teaching, once limited to relatively rare and pointed statements on doctrinal issues, has expanded significantly and in multiple directions. In the Middle Ages, in fact up through the 18th century, popes generally left theological/doctrinal matters, with some important exceptions, to the theological faculties of universities in places like Paris and Bologna. We see a shift in the 19th century as popes relied less on the faculties of those more ancient universities and more on the faculties of the Roman colleges. Moreover, it was during the 19th century that popes like Gregory XVI (1831-46) and Pius IX (1846-78) began with much more frequency to denounce doctrinal errors by way of a relatively new genre, the papal encyclical. Yet even with this expansion in papal teaching, these doctrinal judgments were relatively concise by today’s standards, largely leaving to theologians the task of considering the scope and implications of a given doctrinal pronouncement. This began to change with Pope Leo XIII (1878-1903), who issued encyclicals that were much more theologically expansive (e.g., “Rerum Novarum,” “Providentissimus Deus,” “Satis Cognitum”). This shift toward a greater emphasis on papal teaching was encouraged, in part, by the loss of the Papal States and the pope’s temporal authority. In the early 20th century Leo’s successors would continue this practice. Consider the influential encyclicals of Pius XII on the church (“Mystici Corporis”), the liturgy (“Mediator Dei”) and biblical studies (“Divino Afflante Spiritu”). This papal trend achieved its apogee in the long pontificate of St. John Paul II, who may well have written more lines of ecclesiastical text than any other pope in history. Thus, in the space of a little less than two centuries, the papacy shifted from being the court of final appeal on pressing doctrinal matters to being a major contributor to, and final arbiter of, contemporary theological conversation. A principal consequence of this development has been the need, when considering the teaching of the ordinary papal magisterium, to distinguish within a papal document between a binding doctrinal teaching and the accompanying, nonbinding theological reflection. The point here is not to dismiss the theological content of an encyclical but simply to note that such content may not have a formally binding, doctrinal character. For example, in “Mulieris Dignitatem,” St. John Paul II reaffirmed church teaching prohibiting the ordination of women but then grounded that teaching in a distinctive theological anthropology that privileged gender complementarity. The first was a reiteration of church doctrine (however controversial it may have been), but the second was clearly theological exposition. Yet many have granted a virtual doctrinal authority to what was, at the end of the day, simply a particular theological anthropology, one among many. The result has been the inappropriate conferral of quasi-doctrinal status on the so-called theology of the body that is so popular in some catechetical circles. There is, to be sure, much of value in this strand of theological thought, but it should not be granted doctrinal standing. Extended expositions of “papal theology” can be problematic when they acquire a normative character reserved for doctrinal pronouncements, yet they are not without value in the life of the church. Pope Benedict XVI was a master of this form of papal theology, writing three theologically sophisticated encyclicals that presented little new doctrinal content but offered believers intellectually stimulating and spiritually moving expositions of basic creedal commitments. His learned yet accessible presentation of Christian eschatology in “Spe Salvi” is but one example of papal theology offered for the catechetical formation and spiritual edification of believers. Extended expositions of “papal theology” can be problematic when they acquire a normative character reserved for doctrinal pronouncements, yet they are not without value in the life of the church. Even when papal documents offer no new doctrinal content, strictly speaking, their theological and pastoral reflections may still play a considerable role in the gradual development of church doctrine. In “The Joy of Love,” Pope Francis’ 2016 postsynodal apostolic exhortation, he offered profound yet distinctly pastoral theological reflections on the church’s teaching on marriage and family. The text contained no new doctrinal pronouncements and, indeed, included an entire chapter that summarized formal church teaching. However, as is well known, the pope also opened the door for a pastoral accommodation regarding the offer of the Eucharist to certain couples in stable second marriages, even when the first marriage had not been annulled. At no point did the pope reject the church’s teaching on marital indissolubility or dispute the inappropriateness of receiving the sacrament outside of a “state of grace.” Yet this pastoral accommodation, proceeding directly from the pope’s commitment to a “gospel of mercy,” may well contribute to a further development of doctrine on Christian marriage. It goes without saying that this book is in no way an exercise of the magisterium, but is solely an expression of my personal search “for the face of the Lord” (cf. Ps 27: 8). Everyone is free, then, to contradict me. I would only ask my readers for that initial goodwill without which there can be no understanding. Benedict reminded us that popes were free to enter into extended scholarly conversation, but their contributions were not to be received as binding doctrinal pronouncements on the Christian faith. Some have even tried to apply this distinction to the more recent phenomenon of papal interviews. It is my duty to guarantee to the reader that the voice that resonates—in its humanity but also in its authority—is entirely that of the successor to Peter. It will now be the job of theologians and analysts of the papal teaching to face the problem of classifying a text that has no precedent and therefore poses new possibilities for the Church. Messori was right; this did represent a new situation. Bellarmine’s distinction did not apply in a case in which the pope was being interviewed not as a private theologian, but precisely as pope. This was indeed a new genre of papal teaching. The new genre of the papal interview has developed in a fascinating way during the Francis papacy. 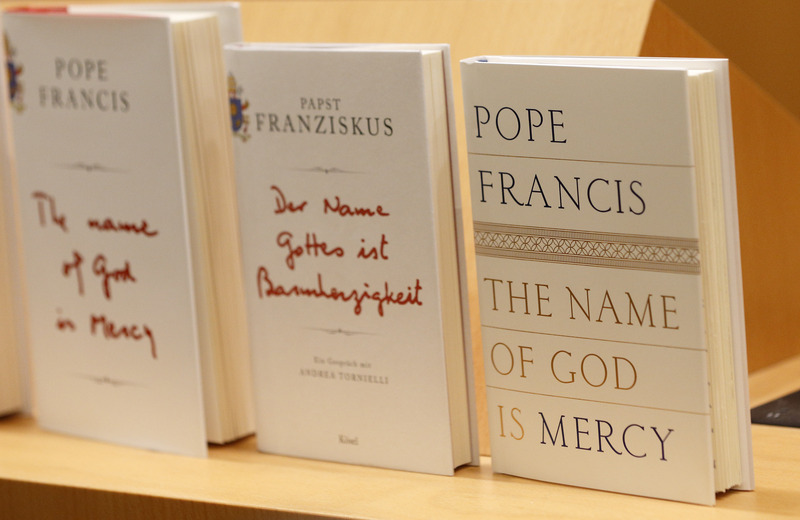 This new genre, the papal interview, has developed in a fascinating way during the Francis papacy. During the pontificates of both St, John Paul II and Benedict XVI, the papal interviews were mostly based on questions submitted in advance, and written responses were similarly prepared in advance. Pope Francis, however, is famous for offering both more formal interviews and a wide range of unscripted, informal interviews, often while in transit on a papal trip. Now, it is certainly true that these responses should not be given the same doctrinal authority as a formal magisterial pronouncement. At the same time, I am not convinced that his responses can be dismissed so easily as the comments of a private theologian, because, again, the pope is being interviewed as pope—that is, as pastor of the universal church. Doctrine is not a closed, private system deprived of dynamics able to raise questions and doubts. On the contrary, Christian doctrine has a face, a body, flesh; He is called Jesus Christ and it is His Life that is offered from generation to generation to all men and in all places. At the conclusion of the meetings of the Synod of Bishops on the family, the pope similarly observed that “the true defenders of doctrine are not those who uphold its letter, but its spirit; not ideas but people; not formulae but the gratuitousness of God’s love and forgiveness.” Perhaps we are seeing here something of what St. John XXIII had in mind when, in his opening address at Vatican II, he called for a magisterium that was authentically “pastoral in character.” Pope John did not wish merely to juxtapose pastoral teaching and doctrinal teaching; he wanted them placed in a more fruitful relationship. Pope John did not wish merely to juxtapose pastoral teaching and doctrinal teaching; he wanted them placed in a more fruitful relationship. With Pope Francis, gone are the days of Roma locuta, causa finita—“Rome has spoken; the matter is closed.” He recognizes that it may still be necessary on occasion to make binding doctrinal pronouncements. Yet Pope Francis appears to concur with St. John that the church may better meet the needs of the present day “by demonstrating the validity of her teaching, rather than by condemnations.” In the synodal, listening church of Pope Francis, we are witnessing the gradual emergence of a new exercise of papal teaching, one that is more patient, persuasive and dialogical. It is an exercise of papal teaching particularly attentive to the complexities and challenges of living the Gospel within the concrete conditions of daily life. It is teaching put directly to the service of discipleship. You can't muddy the waters of clarity regarding the Dogma and Doctrines of Faith more than this essay. This is a clear example of how people will twist and misrepresent anything and any writing to conveniently make a point that is not based on what has always been known within the Church's tradition and understanding. However it's a pity Arnoldo Miranda cannot come on board. Mercy and compassion - hallmarks of great religions. Without mercy and compassion religions look tiny and insignificant. This is a very thoughtful and helpful essay, especially for understanding Pope Francis.. As Lumen Gentium, 25 reminds us, we need to take into account the pope's manner of speaking when trying to discern his manifest mind and will. Richard R. Gaillardetz is the Joseph Professor of Catholic Systematic Theology at Boston College. This article is an adaptation of material that will appear in the newly revised and expanded edition of By What Authority?, to be released by Liturgical Press in 2018.